The automotive industry is primed for historic disruption. Practically every car company is investing in autonomous vehicle developments. By 2030, experts predict that up to 15 percent of new vehicles could be fully autonomous. Photonics systems based on visible, 3D, LIDAR, and night-vision cameras are exploding into the automotive space, its revenue will grow at a compound annual growth rate of 20% between 2015 and 2021 in imaging technology sector. If considering total systems sales value, the revenue is expected to hit S$7.3 billion (€6.8 billion) in 2021.Imaging Technologies for Automotive 2016, cameras designed for advanced driver assistance systems alone will represent most growth of 51% in revenue by 2021. The optical systems are part of a suite of sensors that work with an onboard computer to map the local environment and steer the vehicle through a dynamic situations that contains traffic signals, pedestrians, other cars, tractor trailers, weather conditions and even wild animals. The ultimate goal is a robotic system that drives better than error-prone humans. Autonomous cars are made possible thanks to a combination of optical technologies that utilize multiple lasers and cameras. Together, these technologies enable self-driving vehicles to navigate the road in the future. 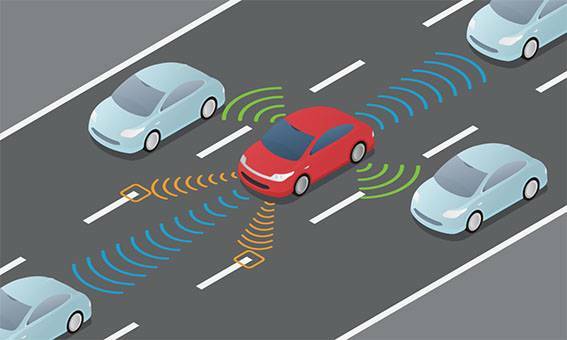 In addition to getting riders from point A to B, guidance systems for autonomous vehicles can help to reduce rate of collisions, help detect blind spots, assist self-parking features. Autonomous driving systems also require programmers to develop algorithms to make critical decisions that are based more on ethics than technology, such as whether to sacrifice a driver or passenger rather than pedestrians. There is a lot of research yet to be done before they become the norm, but progress will be made. Some technologies are more cost-effective than others. LIDAR uses laser light to 3D map a car’s surroundings, but it is one of the costlier optical technologies. From single elements to complex assemblies, Optical technologies are helping to drive automotive innovation. Cameras mounted on self-driving cars are the most cost-efficient of the technologies. These omnidirectional systems provide a 360-degree field of view in a horizontal plane (a visual field that is spherically or hemi-spherically shaped). All the technologies will ultimately work in harmony to ensure a safe autonomous ride. Given human lives are at stake, engineering teams designing optical systems for autonomous vehicles can’t afford design uncertainties or delays. The development of each optical component and optical assemblies must be spot on. New cognitive systems will also call for the most advanced camera technology. For example, the forward-looking camera will not miss the difference between a light colored truck and the sky if it is a color camera instead of monochrome. Color offers tremendous advantage over monochrome cameras, the tradeoff is how to make the optical solutions more cost-effective. SO designs and manufactures optical lenses for Robotic systems in Autonomous Vehicles, security, high tech and electronic applications. We provide custom design and most cost-effective solutions for scanners, CCTV, CCD/CMOS, medical imaging, surveillance systems, machine vision and night vision systems. Visit our Build your own lens page or Request your Quote or if you have any questions, you can contact us directly at these convenient locations!